Dish prepared by second year student, Chad Hogerland of the Culinary Management Program at Algonquin College. 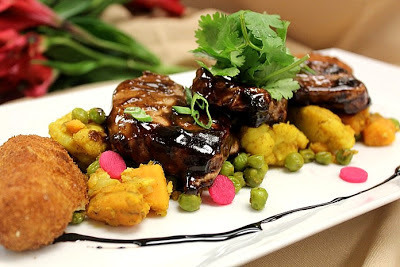 Photo Credit: Chef Mario Ramsay. Ah, the sizzle of butter hitting the smoking pan. The clanging of stainless ladles. Hot plates on the pass-through. It all gets our juices flowing. Ottawa loves to eat out! Our dining landscape has undergone a transformation over the past decade - in part due to the top talent coming from one of our local culinary programs. A program where the students have been continually encouraged, guided and humbly assisted by a local food enthusiast and journalist, Ron Eade, now semi-retired from the Ottawa Citizen where he most recently held the role as Food editor of 14 years. The Algonquin College School of Hospitality and Tourism is launching the Ron Eade Culinary Bursary with a student-led fundraising dinner on Thursday, March 21st. They want you to join the party! The evening’s MC, Derick Fage of Rogers Daytime Ottawa, will keep the energy high. 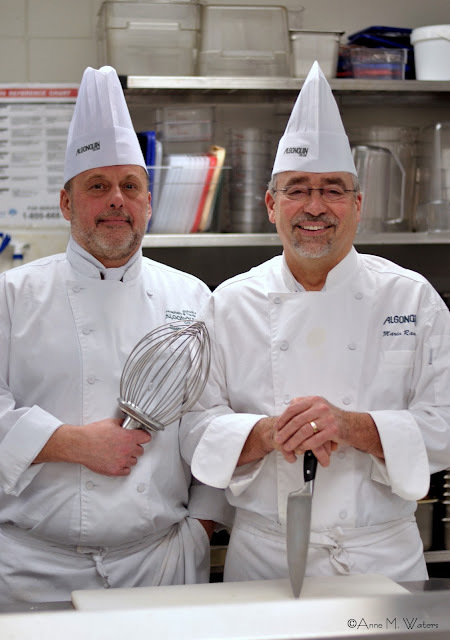 The bursary is the brainchild of Scott Warrick and Mario Ramsay, both chef professors at Algonquin College, who also give tirelessly for the students. The support so far for the fundraiser has been tremendous and to see the Ottawa community rally behind the school’s culinary students means a lot to them. 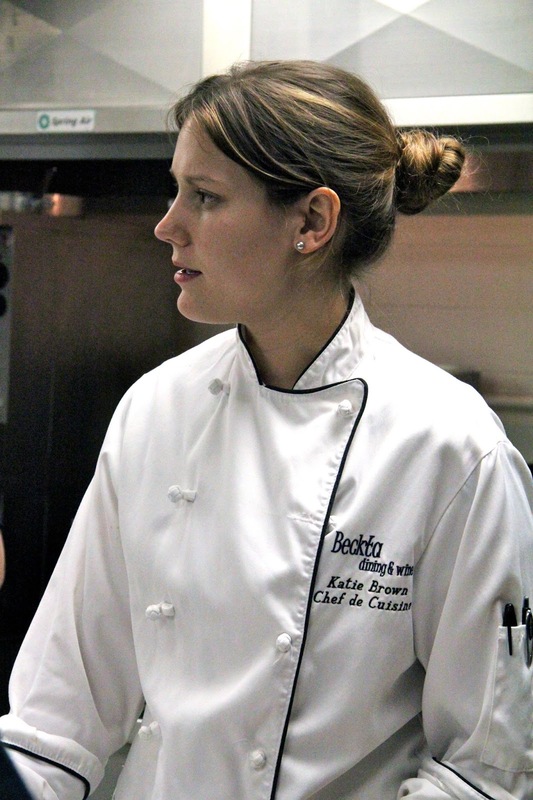 Some of the successful and well-known talent in our local kitchens are graduates of Algonquin College. We, the dining public, have been the benefactors of the strength of the school’s program and the commitment these students show to work passionately in this field. Some will say they have been spurred on by the enthusiasm constantly being conveyed by Ron Eade. Not only does Ron, an accomplished home chef himself, write regularly about the ‘Ottawa Food Scene’, he is a very active participant in food events that allow budding culinary students to showcase their skills. As the grads team up in this city’s kitchens, Ron has had a passion to inform the public regarding their progress, ideas, and whereabouts. "When I heard about Ron stepping down from the Ottawa Citizen I flew my culinary flag at half mast and I think I speak on behalf of most hospitality professionals in Ottawa." 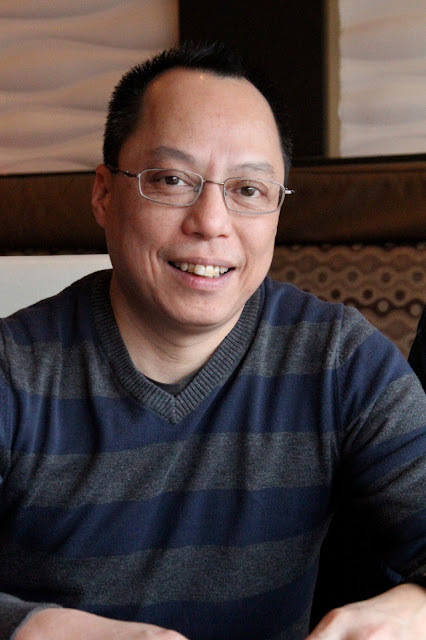 Chef John Leung, partner in new, yet to be named restaurant located at 87 Clarence Street. Photo Credit: roneade.com. Katie Brown Ardington, Chef de Cuisine at Beckta Dining & Wine. Photo Credit: roneade.com. The generosity of the graduates for this event is attention grabbing. What they are not saying with words, they are saying with deeds. Michael Moffatt, Executive Chef at the ‘Beckta Trifecta’ - Beckta, Play and Gezellig, will host a five-course dinner for eight served in your home along with sommelier service. Graduates Patricia Larkin, Chef at Black Cat Bistro, Anna March, Resident Chef at Urban Element, and Katie Brown Ardington Chef de Cuisine at Beckta will team with Pascale Berthiaume of Pascale's All Natural Ice Cream and Marysol Foucault owner/chef of Edgar as well as Odile to create an out-of-this-world dining experience. Chef John Leung will host a dinner for eight in your home. Chris Knight, noted television producer, cookbook author and self-described ‘reasonably good cook’ is offering dinner for eight at his grand residence. A cocktail party with delicious bites from Thyme & Again Creative Catering and Take Home Food Shop. Ottawa Citizen colleague and Dining Out Critic, Peter Hum, invites you to join him at one of his working lunches. Dinners out at a number of Ottawa’s fine restaurants. Plus cookbooks, visits to wine country, overnight stays here in the city, cultural events and food creations. Chefs Ramsay and Warrick are keen to get the community behind growing the bursary. Although tickets are limited due to space, they are opening up the auction to all. Ten days before the fundraiser dinner, auction items will go up on a special eBay on-line auction site. Stay tuned for more details for how it will roll out. Meanwhile, start planning your bids - and plan big. After all, it’s for the students. A detailed list of auction items is being updated regularly on the event’s website. Keep checking here to see the list grow. HOW CAN YOU HELP SUPPORT OUR NEXT CROP OF TOP CHEF TALENT? Come to the dinner. It’s a four-course meal with wine, prepared and served by Algonquin College School of Hospitality graduating students. The reception starts with canapés and cocktails. Be a very keen and generous shopper for the full line-up of live and silent auction items. Buy your ticket today through Eventbrite. Tickets are limited. Can’t make it? You can still shop for the auction items through the fundraiser’s eBay on-line auction site to launch on March 11. Consider giving a donation to the bursary for a full tax receipt at CanadaHelps.org. At a recent retirement dinner, these words were captured in a video by Ottawa Tourism Director of Communications, Jantine Van Kregten, to best describe Ron by his friends, peers and industry supporters – honest, passionate, full of integrity, generous, relentless, booster, interesting, entertaining, excitable, straight-shooter, legendary, tenacious, unique, curious, doer, fair-minded, friend. 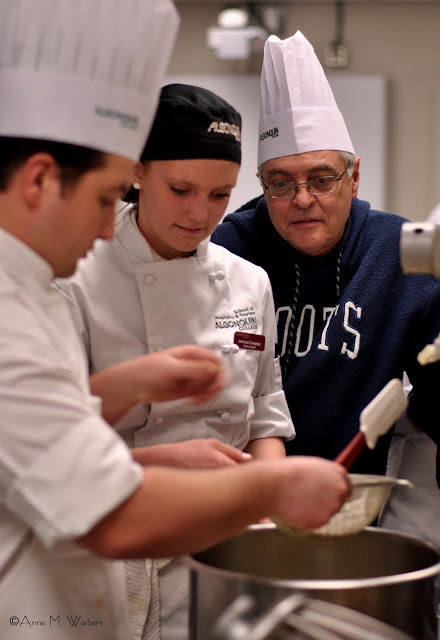 So it comes as no surprise that the Ron Eade Culinary Bursary will be awarded to a culinary student after their first semester, who has demonstrated a commitment to their craft and who has, like Ron, demonstrated passion and determination to succeed. It promises to be a fun-filled evening with mouth-watering food and enticing auction items - all going to support a great initiative. Come out that night to meet Ron and many supporting members of Ottawa’s food community.